Bai Flavored Water, Rainforest Variety Pack 18 Fluid Ounce Bottles, 12 Count Only $15.19 Shipped! 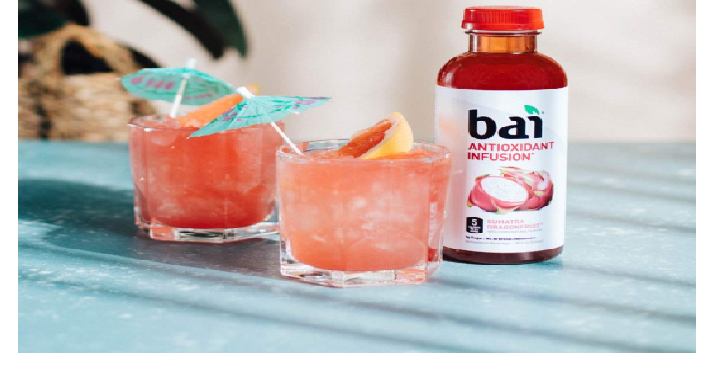 Amazon has the Bai Flavored Water, Rainforest Variety Pack 18 Fluid Ounce Bottles, 12 Count for only $15.19 Shipped when you clip the $4.00 off coupon and use subscribe and save. I love this drink! Keep in mind, Amazon pricing can change at any time! Don’t wait to purchase this deal or it might be gone when you come back!